Discussion in 'Dive Equipment' started by nickb, Jun 21, 2018. Having bought a compressor, a bloke soon gets fed-up with just pumping air and builds a nitrox stick. But this also starts to get a bit dull after a while. So, I built an 'omnibooster'. I first read about this on The Deco Stop forum many years ago and decided to have a crack at my own. Basically, it's a device to move gas from one cylinder to another, completely scavenging the contents of the source vessel. This is particularly valuable with helium and trimix. The compressor is fed by a first and second stage attached to the source cylinder and the partial vacuum at the intake operates the second stage in more or less the same way as a diver would with his/her gob. 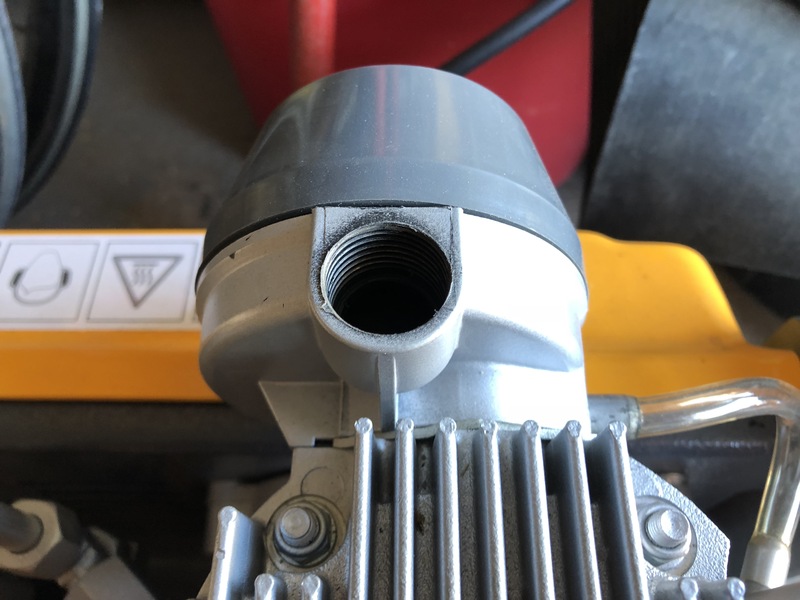 The exhaust of the 2nd stage is blocked-off and the regulator is set to gently free flow in order to help the compressor breathe properly and avoid it working too hard. A buffer chamber is included downstream of the second stage, in order to prevent the diaphragm getting trashed by the compressor's rapid 'breathing'. Mk1 of this used a balloon but I now use a piece of 4" PVC pipe with some cuttings from a car inner-tube at either end and a t-piece cemented in the middle. 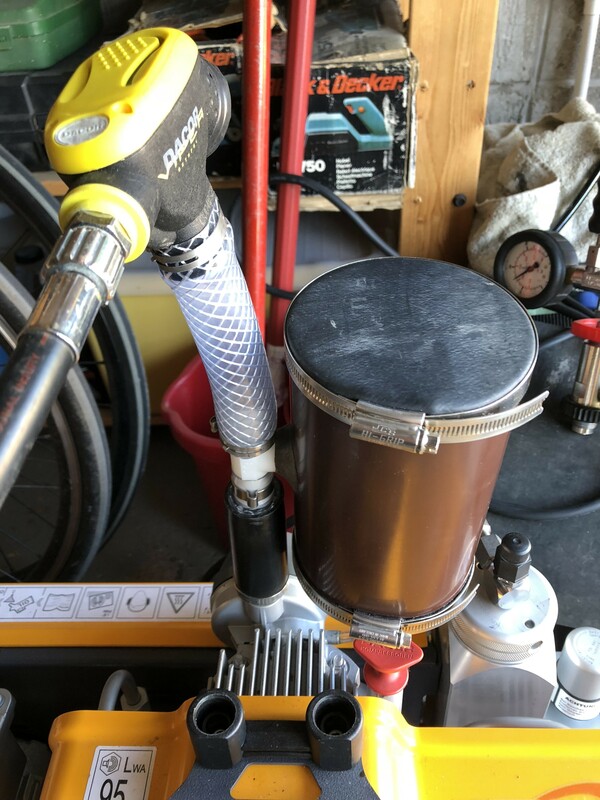 This works a treat and, to make sure I wasn't stressing the compressor, I built a manometer which I hooked-up to the small intake tube that the compressor's overpressure scavenging tube (visible in the second & third photos) feeds back into. This confirmed that the compressor wasn't sucking too hard and was breathing freely. I can now move any gas up to 40% O2 around without wasting any. Happy days! becky9, Dave Whitlow, Tribal Chestnut and 1 other person like this. How do you find the Bauer now you've had it for a few months? Is it something you'd recommend us adding to our enormous dive kit wish list? Also, with the above, is that a really good alternative to a booster pump? 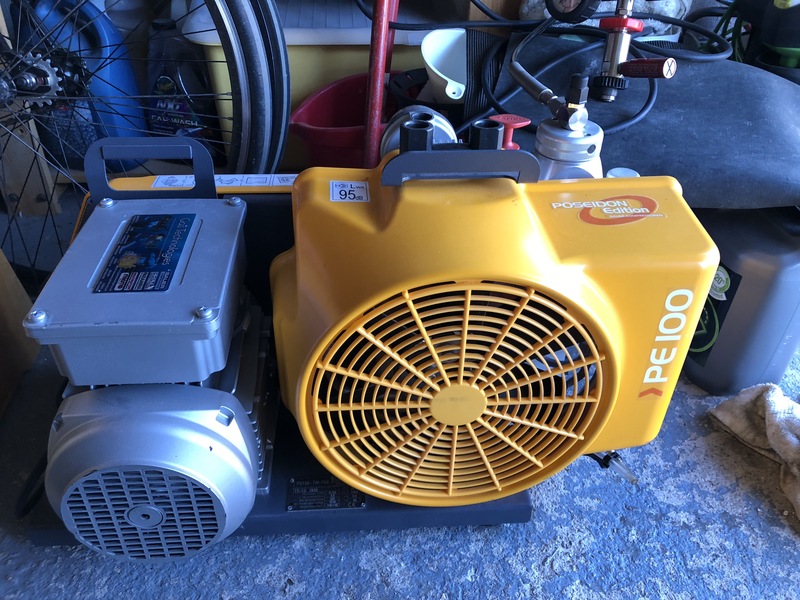 It's like getting something for nothing (provided you had the compressor in the first place) which is normally "too good to be true" in dive kit! It's NOT an alternative to a booster. It's not advisable to pump high-%age O2 mixes through an oil-lubricated compressor. If you own (and use) a CCR, you will eventually need a booster unless to want to drive miles on a regular basis for oxygen. Even the most regular CCR diver doesn't really need one of these; it's just nice to have. Plus, it cost me next to nothing to build. I had virtually all of the bits lying around in my garage.